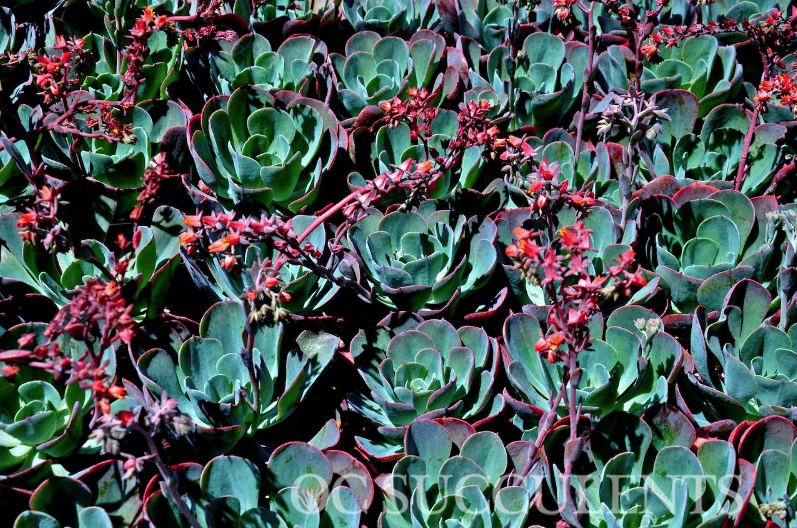 We would classify this friendly and vigorous succulent as one of the quicker and larger echeveria. While individual rosettes can grow up to 8” inches wide, it will also offset freely to form large solid clumps over a foot wide. With more sun and colder nights, echeveria ‘blue sky’, will develop a deep red edge on the mature leafs. It has a branched arching inflorescence bearing clusters of pink flowers in the summer. Very unique in color, this plant is used well in containers and in gardens. Be sure to give it enough room because as it ages more offsets will form increasing the overall size of this plant.